Digital twins may sound like something out of a sci-fi novel, but the truth is, these virtual representations of real-world physical assets have been in existence for years – over a decade, in fact. A digital twin is a virtual equivalent of an actual physical product or service. Businesses from GE to Siemens are presently using digital twins to monitor the conditions of wind turbines and manufacturing equipment in real time, analyzing changes in key parameters and taking measures to perform conditional or predictive maintenance based on the slightest deviations. Through the use of digital twins, companies can simulate certain changes in the twins’ physical counterparts and evaluate the effects without having to inspect or attempt repairs on the actual equipment. This helps organizations to develop more effective corrective measures and avoid long and costly service disruptions. So while plenty of enterprises have used digital twins to enhance their products and services, few companies are truly leveraging the power of digital twins from a business perspective. In other words, the future of digital twins has yet to be realized. Fresh off delivering the keynote at a product lifecycle management conference in Germany, I personally spoke to a number of customers about their desire to gain greater insight into how their assets are contributing to their business operations. Companies unequivocally recognize the importance of digital twins from a technical perspective. But it appears they’re finally beginning to understand that using digital twins for business is equally critical. Namely because the time when organizations purely sold assets is a thing of the distant past. Today, enterprises are more and more inclined to provide lifecycle services, where they maintain at least some form of responsibility for their assets throughout their entire lifecycle. This extends beyond mere technical uptime to how much value an asset can actually generate for a business. Conversely, digital twins can also help predict, inform, and warn an enterprise against incurring unnecessary costs or unwisely squandering resources. A global manufacturer of wind turbines is running its products in an as-a-service mode for numerous utility companies. In order to maximize efficiency, the organization uses digital twins to monitor the technical integrity and performance of its assets. Based on data transmitted from one particular turbine, the company decides to undertake an extensive repair program ahead of the asset’s originally scheduled maintenance. Upon the completion of the repairs, and after the work is paid for in full, the manufacturer discovers that the contract for this particular turbine will not be extended, as the customer has decided to use a different provider that offers solar panel support. In this instance, a digital twin for business – where the contractual data, the actual asset performance, and the technical representation is managed as one model – could have provided the manufacturer with the insight and visibility it needed to forgo the maintenance program, saving the company the cost and trouble it went through to repair the defective turbine. Your business likely has a number of assets at its disposal. You either use them yourself or render them as a service to other organizations. Advertising your assets’ technical capabilities on a digital marketplace is an effective strategy for connecting with potential customers. But first you’ll need to possess intimate knowledge of features such as cost base, availability, and yield that you can use to set price points – even differentiated pricing over the course of a day – and determine the profitability of potential contracts. Without a digital twin for business, you’d be hard-pressed to achieve this. Companies often have multiple business partners sharing responsibilities for their assets. One organization is tasked with manufacturing the asset. A separate enterprise is responsible for maintaining it. The third company actually uses it. All parties need to jointly execute business processes, from bringing the asset into service to tracking and billing usage. These processes require access to the asset to validate its current status. With a digital twin for business, you can easily achieve this and collaboratively manage your assets with your partners. This would help simplify how you monitor the conditions and key parameters of your assets and develop corrective measures for any issues that arise without a single stakeholder physically attending to them. Aside from the cost savings this would enable, companies would save time and manpower, providing employees with the opportunity to focus on other pressing issues. The three legs of the profitability barstool for all industrial manufacturers include reducing costs, increasing revenue, and optimizing assets. Digital twins for business can help your organization reach all three of these goals. With greater visibility into your enterprise, you can increase companywide efficiency, from simplifying field service technician scheduling, to ensuring spare parts are available at the right place and at the right time, to streamlining communications. These measures will result in reduced costs for your entire organization. Your company can increase revenue through the creation of new business models, be it power by the hour, pay to play, or usage-based billing. Moreover, these updates could potentially lead to improved service levels and enhanced customer experiences, which would have a significantly positive impact on your bottom line. 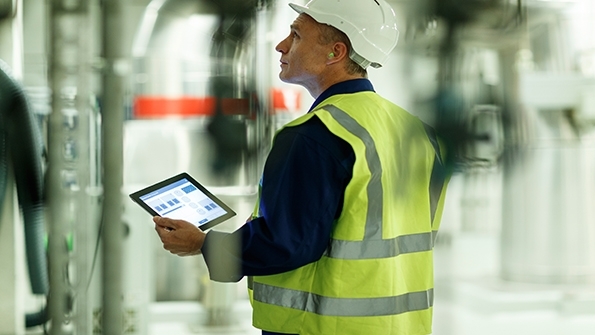 Finally, a digital twin for business would help you to optimize your assets from a service/maintenance perspective, reducing unplanned downtime and increasing overall equipment effectiveness. For organizations operating in today’s increasingly complex manufacturing industry, it’s imperative that they understand their equipment from a technical standpoint. But that’s simply not enough. Enterprises must be able to understand how to market their assets, run their assets collaboratively, and manage the profitability of their assets. With a digital twin specially designed for the business, they finally can. The future, at long last, has arrived.